Here are some of the hidden Skype emoticons & Smileys. 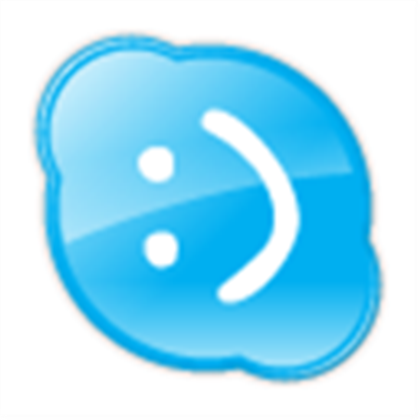 These smileys are not visible in the Skype smiley panel. To use this in your Skype just type the "Type this" section of the smiley you like and send it. Now you can see the symbol of that smiley on your IM. Surprise your friends with this. Enjoy!! 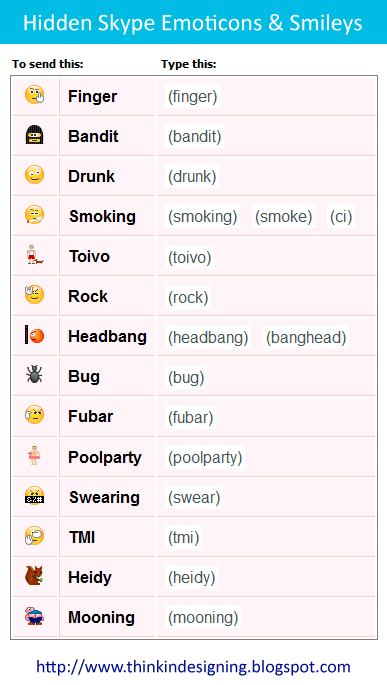 No Comment to " Hidden Skype Emoticons with Codes "